The setting up of 12 workshops related to the management of agroecosystems in Mauritius will also contribute to the collective reflection on potential solutions, based on the experience of the growers, the knowledge gained through trainings and the experts’ competence involved in those workshops. These workshops will be done on a quarterly basis and will regroup 5-15 farmers (corporates and smallholders) of the Smart Agriculture network, throughout the phase 2 of the Smart Agriculture project. The collective reflection will lead to potential solutions which will be tested by one or several of the workshop participants on a voluntary basis. The Smart Agriculture project takes the financial responsibility of the small investments that may be linked to the setting up of trials on the field. The trials will be followed and evaluated by the respective farmers. The latter will be helped by the animators/facilitators of the network and will be regularly supported by the identified experts of each theme. 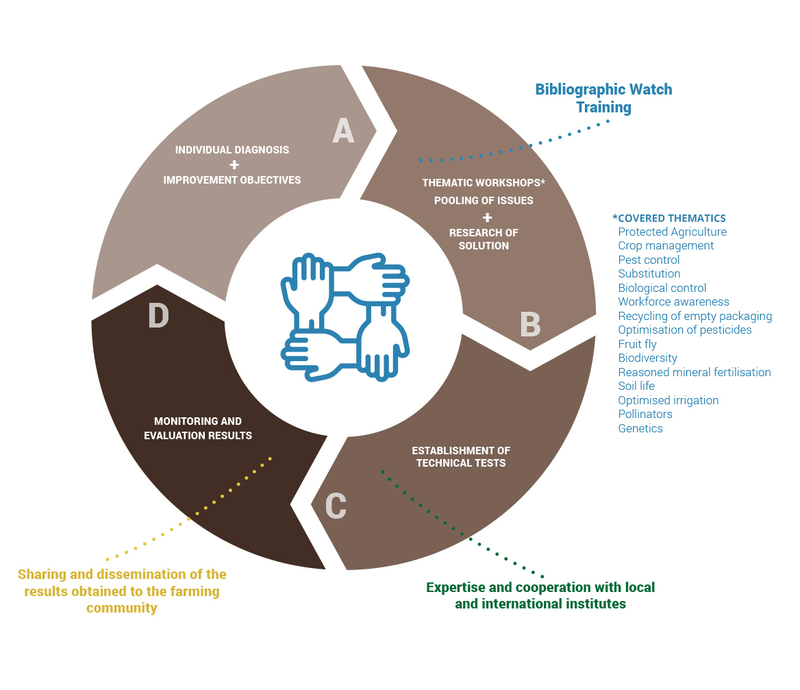 The below figure gives more precision on the chosen strategy to accompany the 20 farmers of the Smart Agriculture network in the reflection and implementation of a more agro-ecological system culture.